Whether you are building a new home, remodeling an existing home or just have a small drywall repair job, DiCarlo Construction services has the skills and the manpower to take care of your project quickly and efficiently. No job is too big or too small! We pay meticulous attention to the details to make sure your walls and ceilings end up super smooth with no bumps or seams showing. Our finishes are the best! We are consistently contracted for large commercial projects by top builders, so we know how to deliver high quality drywall. 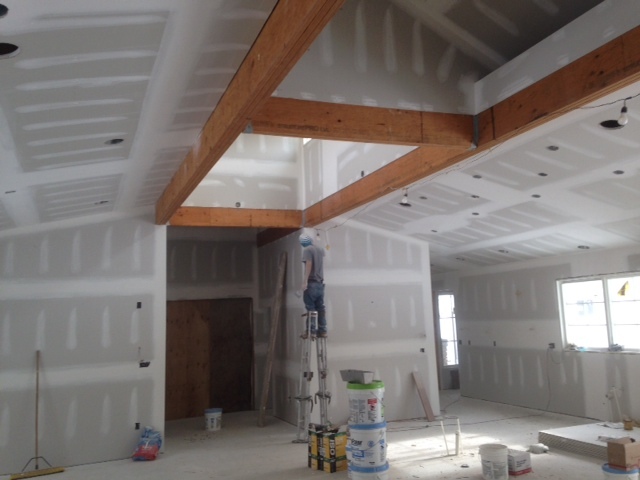 We have installed residential drywall in Berks, Bucks, Chester, Delaware and Montgomery counties in PA as well as in the Poconos and the Jersey Shore. You’ll find our staff courteous and respectful of your property and willing to answer your questions anytime. Check out our many testimonials to see what our customers say about us. We are the best drywall contractor in the area! Copyright © 2019 DiCarlo Construction Services. Powered by WordPress. Theme: Spacious by ThemeGrill.